Donald Teskey was born in Co. Limerick and graduated from Limerick College of Art and Design with a Diploma in Fine Art in 1978. He came to prominence as an artist through his skill as a draughtsman during the 1980s, with several significant solo exhibitions. Since 1992 he has crafted out a substantial body of work as a painter of the landscape and more recently the ruggedness of the western seaboard. Sometimes working on a very large scale, his images reflect his response to the formal elements of composition; shape, form and fall of light. The result are powerful images of instantly recognisable parts of the Irish landscape with large abstract passages and surfaces which articulate the relentless energetic and elemental force of nature. In 2005, Limerick City Gallery of Art hosted “Tidal Narratives”, an exhibition of large scale paintings and drawings coinciding with the publication of a book on the artist by Gandon Editions. In 2013, He exhibited at Centre Culturel Irlandais In Paris. 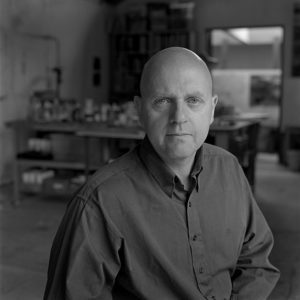 He has been awarded fellowships to the Vermont Studio Centre, USA and the Ballinglen Arts Foundation in Co. Mayo, Ireland. In 2007, he was invited as artist in residence to the Josef and Annie Albers Foundation, Connecticut. In 2012 he was awarded a 3 month residency in Paris at the Centre Culturel Irlandais. He is a member of the Royal Hibernian Academy. His work has been exhibited in the UK, USA, Canada, China, Germany, France, Finland and South Africa.